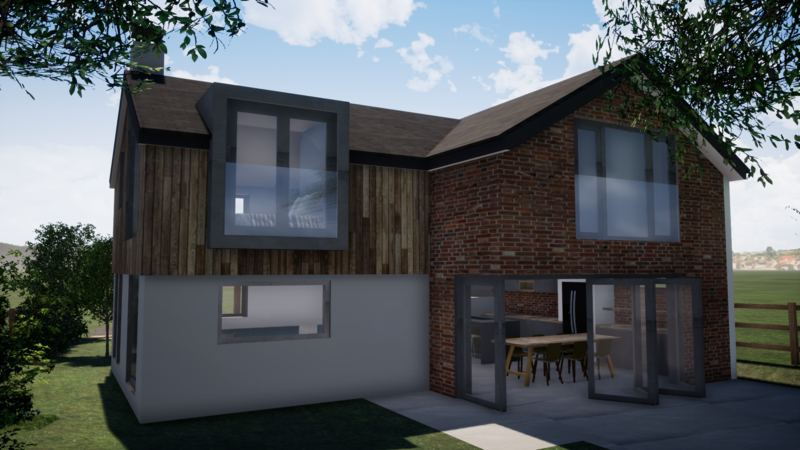 Our Romsey office have submitted a re-design of a new build house in Braishfield, within the existing grounds of the client’s existing house. To the North of the site are large mature oak trees and within close proximity to the site are a protected species. The application was submitted with supporting report from an Ecologist and Arboriculturalist. 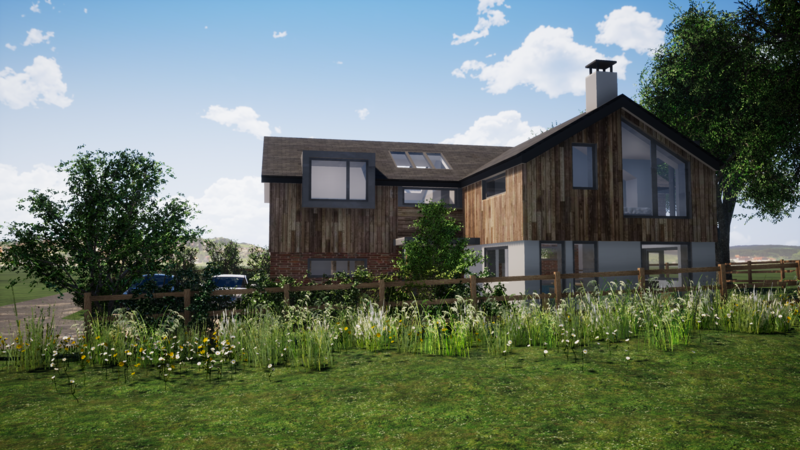 The proposal although 2 storeys, matches the ridge lines of adjacent bungalows utilising ground level differences. 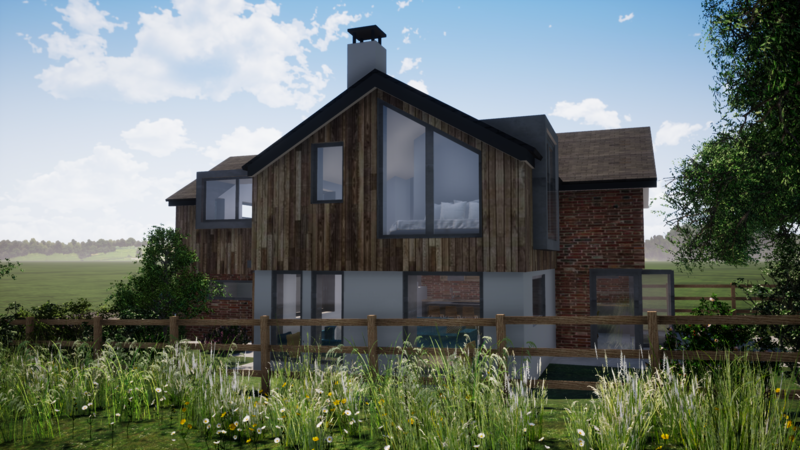 A mixture of traditional and contemporary materials are used and the Western Elevation is heavily glazed to maximise views across the fields. 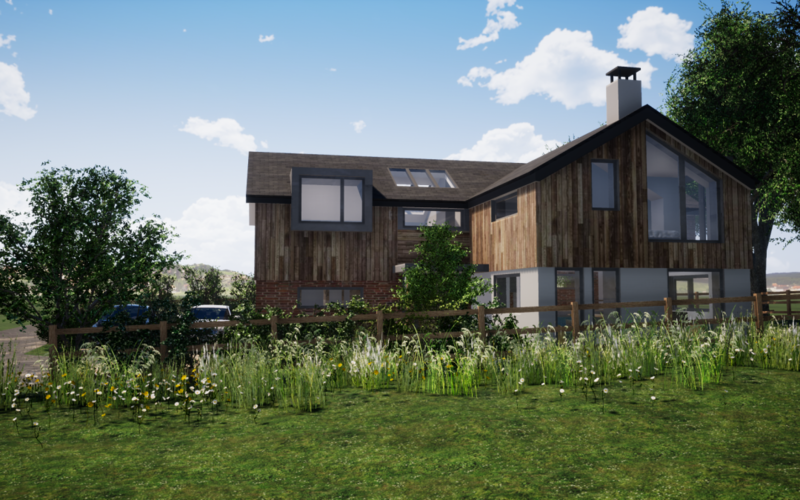 Planning permission was granted in January 2018, Technical Design will commence in the summer with an expected start on site of Spring 2019.